Spencer Group delivered improvements to the facilities at Edinburgh’s Craigentinny depot, to enable successful maintenance of the Hitachi Europe Intercity Express bi-mode fleet to be introduced in 2017. 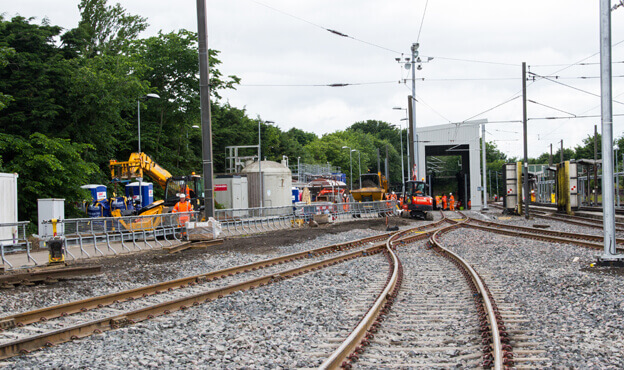 These included major track renewals, alterations to the existing Overhead Line Equipment (OLE) and the provision of new fuel and AdBlue systems to meet the requirements of the new trains. 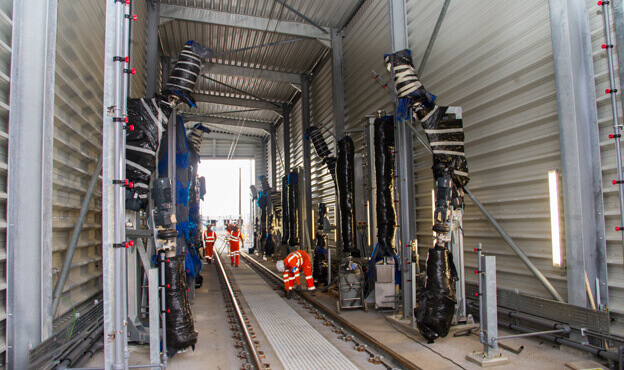 Spencer Group installed a new Garrandale washing plant, which will wash trains at temperatures as low as -5°C and recycle 70 per cent of the water used; this is housed in a 40-metre-long x 6.5-metre-wide steel-clad building. This work involved alterations to the fuelling point, with significant track and OLE alterations, and was completed in July 2016. The facilities will clean the trains’ interior and exterior, refuel, empty toilets and replenish the water tanks of the 5-car or 9-car super trains. We encountered numerous challenges along the way, one being the limited isolations we had on overhead lines. This was overcome through a re-sequencing of the methodology, which allowed us to work safely under the live OLE. The Craigentinny depot enhancements formed part of the wider Intercity Express Programme (IEP), and the depot is now ready for the country-wide rollout of the new Azuma trains, which will be 12 cars in length - 2 cars longer than the trains currently in operation. Combined with our work on the other IEP depots, this is excellent evidence of our ability to deliver nationwide packages of complex works to a high standard. 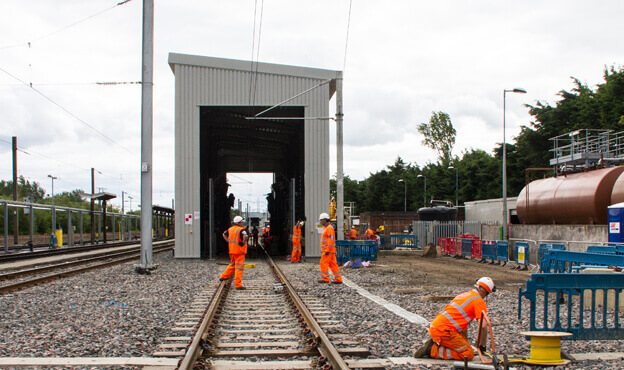 When VTEC gives up its lease in August 2018, the second stage will begin, involving synchronous jacks being installed within the inspection shed for bogie replacement, and number 2 maintenance road having a roof-level inspection gantry.